Oh boy – oh joy – it’s International Bacon Day! It’s a big day around here…..well, everywhere that bacon is loved and appreciated I suppose because it’s actually an International Bacon Day so that covers everybody everywhere! 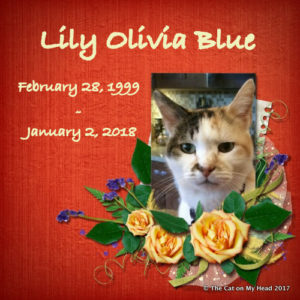 When I found out about this special day I had to do some research and what better spot than the blog 365 Days of Bacon which my good friends Miss Caren and Cody from Cat Chat told me about! WHO KNEW????!!!!! Was I ever excited about the news! As you know we always have bacon with our breakfast around here on weekends and today Mom is making EXTRA just so we can celebrate in style. The way I go on about the stuff you’d think I eat packages of the stuff right? Well the truth of the matter is that I only eat a tiny piece. That’s all I want really. I’m not a (pardon the expression) PIG when it comes to having bacon. My Mom got into the spirit of the occasion though and in honor of the day, my Mom brought out SOME (and I mean some) of her pawsome and extensive collection of piggies – she’s collected them for YEARS. People have gifted them to her, she’s bought them on her world travels, and we find them in shops and stores all over the place. Mom has a special little display cabinet in her studio with them and just for me (because I said “Pretty Please With Bacon On Top”) she got some down and took a few photos of them so I could share! 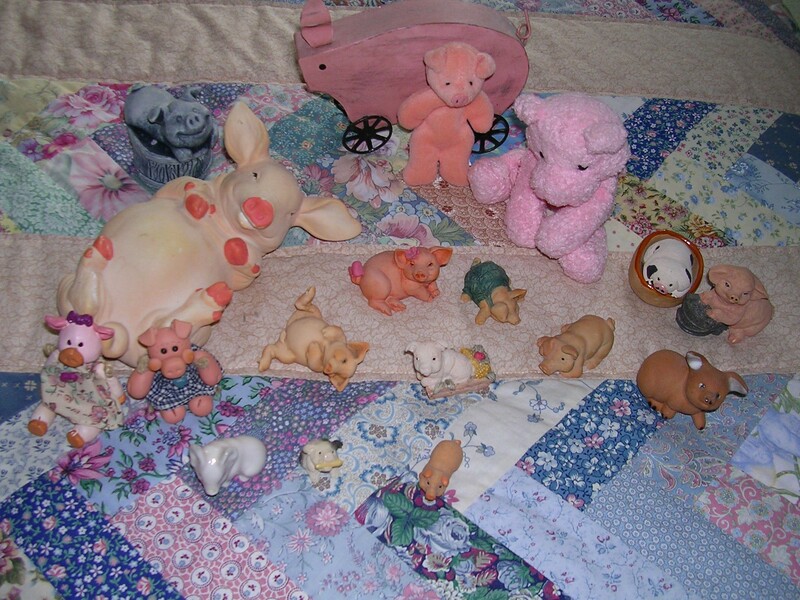 Ceramic, cloth, rubber, wooden….Mom’s got all kinds of piggies! An “aerial shot” of piggy heaven on the guest bed! Pretty cool huh? She has others – including a pig her Mom had that she bought when they all lived in Taiwan many years ago. It was carved out of some kind of dark wood and is one of my Mom’s favorites. I think they’re quite cute and when Mom was taking these photos I tried to eat a few of them and/or steal them and run off with them. They are NEVER out of their cabinet so this was a treat to sniff see them up close! Also, I want to say that if you don’t know a little piggy who has a blog whose name is “Bacon” you should today of all days go over and introduce yourself to him HERE – and if you DO know him, make sure and stop by because he does – after all – have an INTERNATIONAL day named after him since it’s International Bacon Day!!!! I hope everyone has a wonderful day – I sure am enjoying it so far……………………”Hey Mom……………bring on the bacon” !!!!! Hi Mollie! Mom’s piggy collection is way cool isn’t it? And that wasn’t ALL of them. Some of the tiny ones aren’t in that display because you can barely SEE them! Mom doesn’t collect them anymore – those were from years ago. I hope you guys get some bacon today since it’s such a wonderful BACON holiday…..but whatever you do, have fun because I know it’s Fat Daddy Saturday at your house too!! Hi Charlie! Thanks buddy – I know you’re just getting back from your trip to Paris but I hope you celebrate Bacon day by doing something nice and relaxing…like NAPPING! Wheeky wheek wheek! That made us giggle. Happy Bacon day, whee hope you have lots of tasty bacon! Hi Guys! 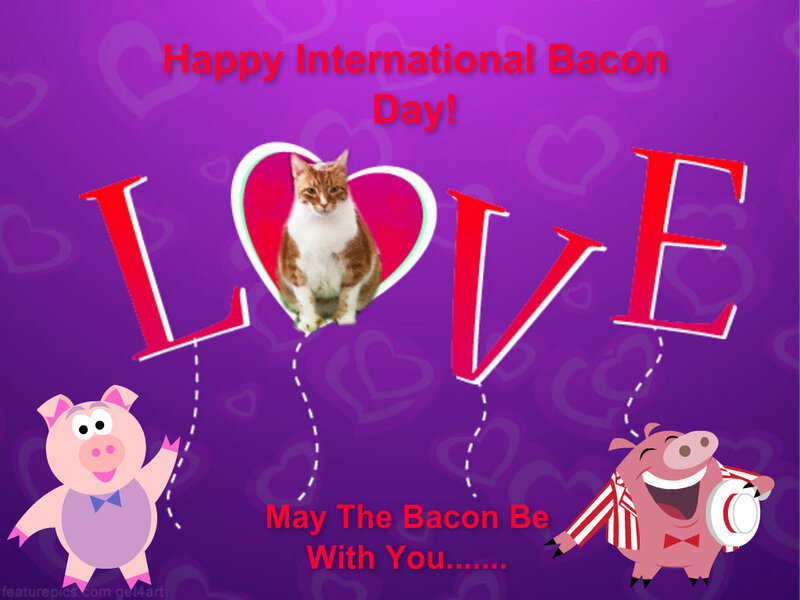 Thanks for the bacon wishes…..I’m sure bacon lovers everywhere will be celebrating this lovely day! Happy Bacon Day, Sammy!! I just know you’re going to really enjoy your bacon treat this morning. Hi Sundae! Oh I’m sure today’s bacon will taste better than any other has because it’s BACON DAY! I know you don’t eat it (which actually is a good thing since it’s not that good for you) but I’ll have a tiny piece just for you anyway – it’s so yummy…. What a cool piggie-collection. The one with wheels is super cute! Have a Happy Bacon Day, dear Sammy! Hi Easy! That little wheeled piggy was a present to my Mom – allegedly from an antique shop but who knows if that’s true or not…it’s kind of wobbly and sits on TOP of Mom’s official “little piggy cabinet”. I hope you’re celebrating International Bacon Day yourself today Easy? Perfect excuse to demand bacon!! Uhoh…..more DIY? Gosh, you live in a crib full of upheaval don’t you Easy. Listen buddy, if you wanna pop in your teleport tent (did you ever get that camping tent to work as a teleporter??) and come stay with me for a few days until your Mom gets DIY out of her system, let me know. I will gladly grant you SANCTUARY! p.s. and we have plenty of bacon too! Oh Easy! Your birthday is on Monday? That’s our Labor Day holiday here….I suppose Labor Day would be the day you were born because your Momma-Weim HAD you on that date huh? Well all I can say is I’m glad she DID have you because otherwise I never would have known you and I’m VERY happy I did get to meet you!!!!! 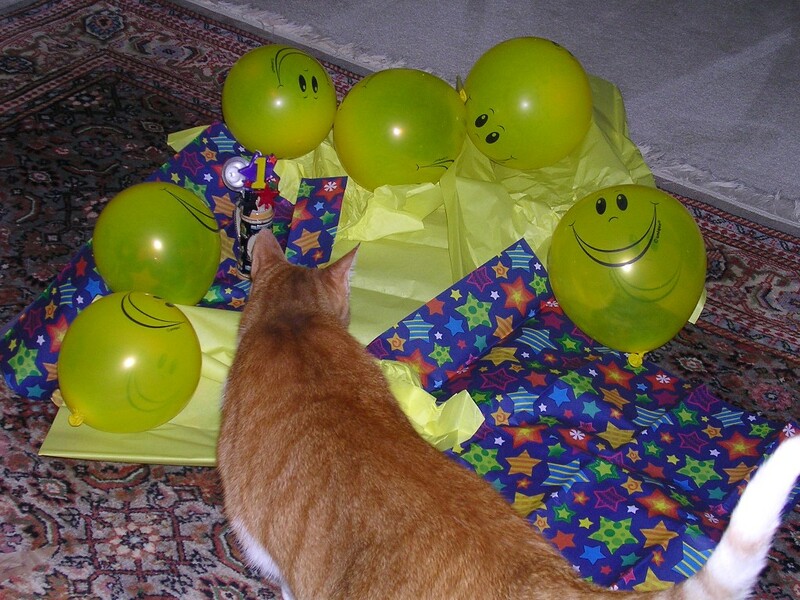 I’ll be sending you a birthday card buddy…you can bet on it!!! Hi Katie! 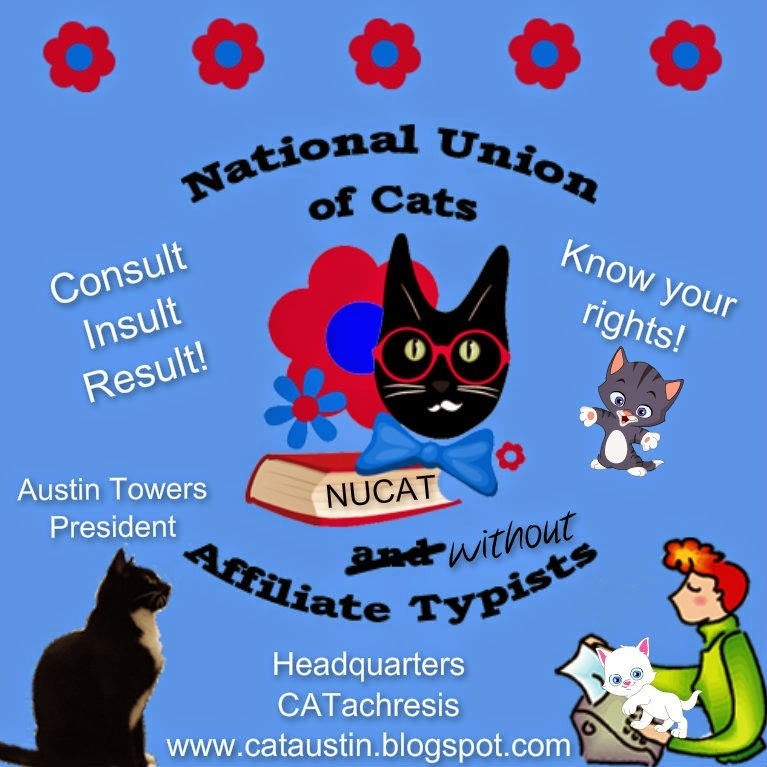 Some kitties like the stuff and others…well…not so much….you know which Category I’m in!!!! Snorts. I love this! I love your moms collection of piggies! They’re so cute! Thank you for my shout out my special court jester. I’m celebrating national bacon day in a slightly different manner. You know since I’m a pig and well my name is Bacon. Snorts. Hi Bacon! Thanks to you for MY shout out too – it’s an honor to be your Court Jester…..just come visit me for a giggle any old time! Enjoy your bacon, Sammy, on the special bacon day….It’s a favorie of mine,too. The world would be a pretty boring place without bacon wouldn’t it Miss June? I hope you had some bacon for breakfast this morning to celebrate! Oh it is a heck of a day to celebrate!! That piggy you say is your favorite might be my favorite too – it’s extra cute…When he took that photo yesterday it was the first time those little piggies have been out of the cabinet in years. I got to do a good “sniff” check of them….and tried to make off with one or two before I got caught! Oh my goodness!!! Didn’t know your Mom collected piggies! Enjoy your bacon filled Saturday! Hi Miss Pix! Yes indeed – it’s been one bacon-filled day ’round here……my Mom doesn’t collect piggies any longer but she obviously DID at one time as you can see. They’re all little too so they don’t take up tons of room – just one little cabinet in her studio. Hope you and CH had a bacon-o-rama this morning yourselves to celebrate??? omg what an adorable post! I didn’t know that you collect piggies either!!! 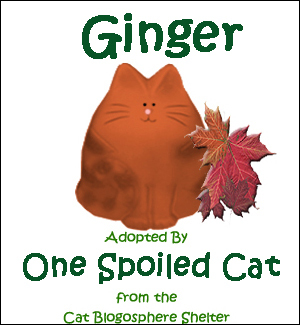 I loved this “I’m not a (pardon the expression) PIG when it comes to having bacon.” MOL MOL MOL! Glad to turn you on to that site my furiend!! Love ya! Hi Caren…..thanks for letting me know about 365 Days of Bacon – and giving Sam and me an excuse to devote a whole day to Sam’s little bacon fetish! LOL I don’t collect piggies any longer but I sure did for several years as you can see. Most of those are from our vacations – some from David and other people as gifts…..They’re all little too which is nice so they don’t take up a lot of room. It was fun to get them out for that “photo shoot”! Hi Austin! Oh that’s a really cool shop – we have a paint your own pottery place hear us too but it doesn’t have a WAY COOL NAME like yours does!!!! I hope you are enjoying International Bacon Day yourself…..I’m having a blast (and a lot of bacon). I thought every Saturday was bacon day for you, Sammy! I almost thought you were making that up when I first read it….lol. Your Mom’s pig collection is quite cute, and I can’t believe there are even more than that! Well every Saturday IS bacon day but today I got EXTRA and might even have more at lunch since I heard the word “BLT” mentioned! WOO HOO! 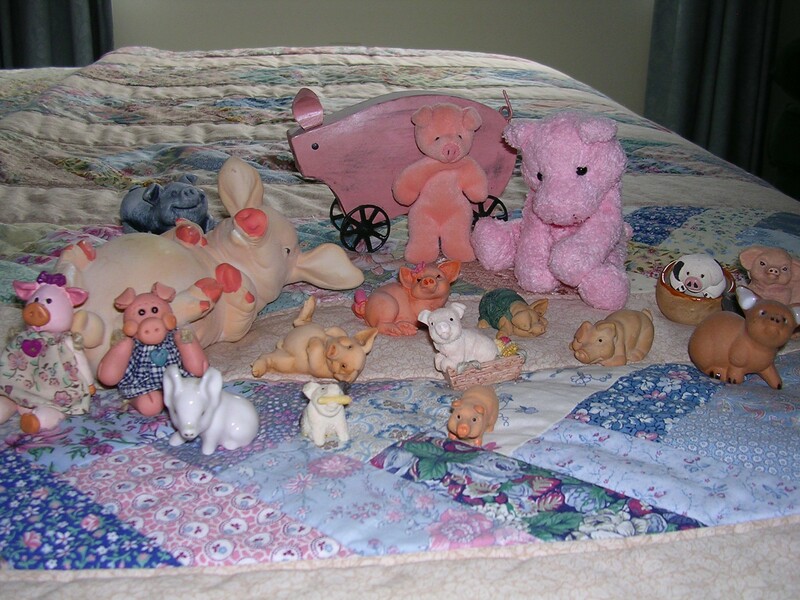 Yes, Mom has about ten more piggies that she didn’t put on the bed when she took that photo…….they were tiny little pigs (although those aren’t big either!) and you wouldn’t even have SEEN them! You’re a riot, Sammy. Mom laughed when you said you’re not a pig about bacon! That’s a good one! Enjoy your day! Hi Cupcake! Well so far (and the day isn’t over yet) we’re having a very bacon-tastic day around here! Mom even made BLTs for lunch for her and Dad and I got MORE bacon. Now that I’ve been duly baconized, I’m gonna take a nice long snooze in the sun. I hope you have a fabulous day too! Gosh Savvy – well, you know, even some humans don’t like bacon so you’re just a lady with discriminating tastes – perhaps caviar is more to your liking? There MUST be an International Caviar Day – in which case I’ll happily celebrate that with you!!!! Peepers! Come over here. You have GOT to see this. Now Peepers… we need to talk ’bout this. You are gonna HAVE to get me some bacon now. You just have to . None of that veggie stuff. I want the real deal. After all, it’s International Bacon Day! Good luck Nissy – I think you’ve made a fine case for getting the REAL THING today……I mean those peeps of yours can go back to that veggie stuff AFTER today – today is a day to celebrate the wonderfulness of REAL bacon! Which, by the way, I most certainly AM doing! Whoa BACON and piggies. 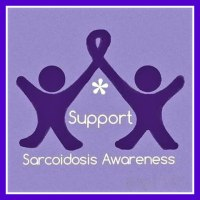 Have you been to Coccolino’s blog? They’d love to see this. Cocco is a mini pig. Hi Miss Layla! Oh yes we know Coccolino and I warned Miss Katie and Cocco that Sam would be celebrating bacon today BUT we all decided that since Cocco isn’t an “eating/bacon” pig, it would be alright….same with Bacon from PigLove (I told Bacon it was HIS special day since his name is Bacon!!!) – AND of course even though they aren’t PIGS, I told all my guinea pig friends too. What could be better than International Bacon Day for a guy like me? YUM just isn’t a BIG enough word!! Happy Saturday……. Hi You Two! I hope you have been able to have your bacon “fix” for International Bacon Day by now and are enjoying this wonderful day in honor of the wonderfulness of bacon! Glad you liked my Mom’s piggy collection – it’s rather impressive! Wohoo international bacon day! That is an awesome collection of piggies. I collect anything kitties. So I have many. .Have a great day! My Mom has kitties AND piggies but she hasn’t collected either in a long time……nice to get them out and take a close look though sometimes isn’t it? Memories and all that??? Oh my catness, this day was custom made just for you, Sammy! ROFWM!!! Ya don’t want to make a ‘pig’ of yourself…oh Sammy ya made me n Mum laff out loud!!! Phankz fer dat!!! Yer Mum’z piggie collecshun iz pawsum…Mum collectz certain stuffed animalz n a few dollz n dey haz a story…each of dem…say we shuud do a bloggie ’bout dem sumtime!!! Phankz fer da idea too!!! Happy Bacon Day to ya!! Hope you and your Mum had a GREAT Bacon Day!!!! Me sellbrated Bacon Day wif tuna-tuna, MOL!!! Me not alloud bacon so ya can heve me share ok??? Tuna is a perfectly WONDERFUL way to celebrate ANY DAY including International Bacon Day Nylablue! Nuffin sayz LUBBIN Bacon like Tuna-tuna, MOL!!! Me iz not alloud da bacon…me wishez me cuud have a wee bit…..
*sighz* Life is hard sumtimez…. Mom’s piggies are back in the cabinet now but it was fun to see them up close. I tried to steal one or two but didn’t manage it before Mom caught me. Anyway, you should encourage your Mom to do a blog about her dolls and stuffies! MOL me cuud see ya goin fer sum of da wee piggiez…dey shure are cute!!! Mum letz me sit wif her stuffiez on da dresser n me posez wif dem. Dey all my size so me not bother wif dem much!! Mum sayz me smellz guud like a stuffie…yer Mum ever said dat to ya befur Sammy?? Yow only one bath?? Dat iz pawsum! Me not shure if me had bathz befur me came to Mum….me nose not since so over 7 yearz fer shure wifout full bath. Mum doez wash me ‘buzinezz’ when me haz die-arrhea frum da bowel disease tho’. She also fluffz me wif a soft towel after da wash so it iz not too bad to deal wif. 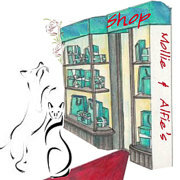 Mum sayz a guud stuffie smellz clean…me haz to say her stuffiez DO smell guud so maybee dat is how guud me smellz….MOL. I think it’s lovely that your Mum takes such good care of you – you have some special issues that mean you need to get a bit of a wash from time to time….and your Mum’s right there making you more comfy. I think that’s TRUE LUV! 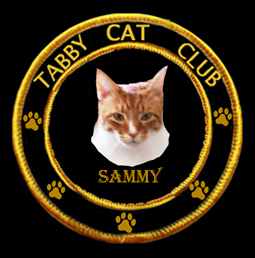 Me agreez it iz TRUE LUB Sammy!! No other Hu’man EVER took such guud care of me or even noticed if me had prublemz!! You and I are BOTH blessed to have Moms who really love us and take such good care of us! 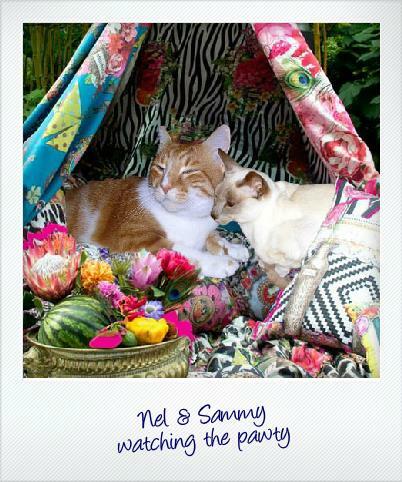 Yow Sammy we IZ trulee blessed n me iz so glad we iz furendz too!! MOWZERS, for us kittehs for whom bacon is not allowed in the home, we uh…we;;, are SPEECHLESS! MOL!! Hi gang…..I know…..bacon is NOT something that everyone enjoys or even THINKS about eating but for me – well – we all have our weaknesses yes????? Sammy, Bacon Day is bigger than Christmas in your house!! Happy Bacon Day!! We hope you got lots!! Well I do love it when Santa Paws comes to visit me too but you’re right – Bacon Day is one of the biggies that’s for sure! Hi Spitty….there are some AMAZING bacon pix out there in cyberspace aren’t there? Did you see the car covered in bacon? Talk about getting carried away!!!!! Well, it was a VERY special occasion…..I’m so happy I heard about International Bacon Day – I hope I remember to celebrate it next year too! We didn’t know about Bacon Day either – glad we found out though!! Mom’s got a lot of ’em! A Piggy collection! How wonderful!! Doesn’t my Mom have some great little pigs? I like them too….and not just cuz they have a little something to do with BACON!